DEISIGN: Bilbao and its pride are "out of this world". Bilbao and its pride are "out of this world". EUS | Ba nioen ba nik Bilbotarren harrokeria "beste mundu batekoa" zela... Jupiter Ascending filmearen hirugarren trailerra ikusten, leku horietako batzuk nunbait ikusita neuzkala iruditu zait... zuei? ESP | Ya decía yo que la gallería Bilbaina era "de otro planeta"... Viendo el tercer trailer de Jupiter Ascending, me ha dado la sensación de haber visto algunos de esos lugares antes... y a vosotros? 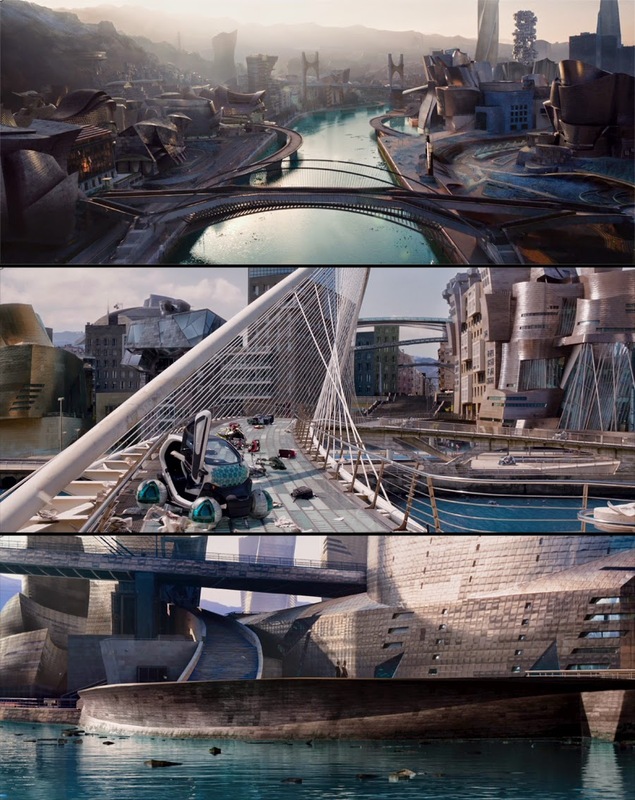 ENG | So watching the 3rd trailer for Jupiter Ascending I got this feeling about having seen some of those alien/futuristic locations before... I guess people from Bilbao are aliens after all, as well as Frank Gehry and Santiago Calatrava! If know these references, you'll have fun watching this. And here's the trailer. Enjoy! There are some interesting places used in this movie.